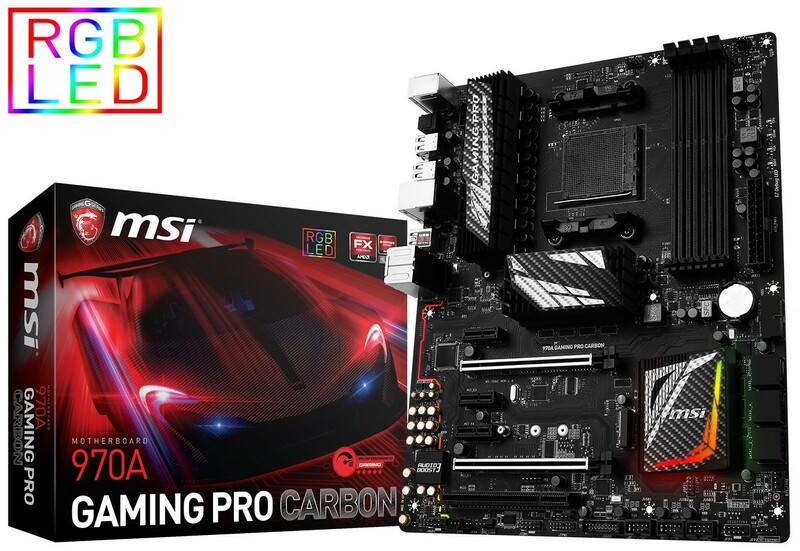 MSI announced the 970A Gaming Pro Carbon socket AM3+ motherboard, which is based on AMD 970 + SB950 chipset. 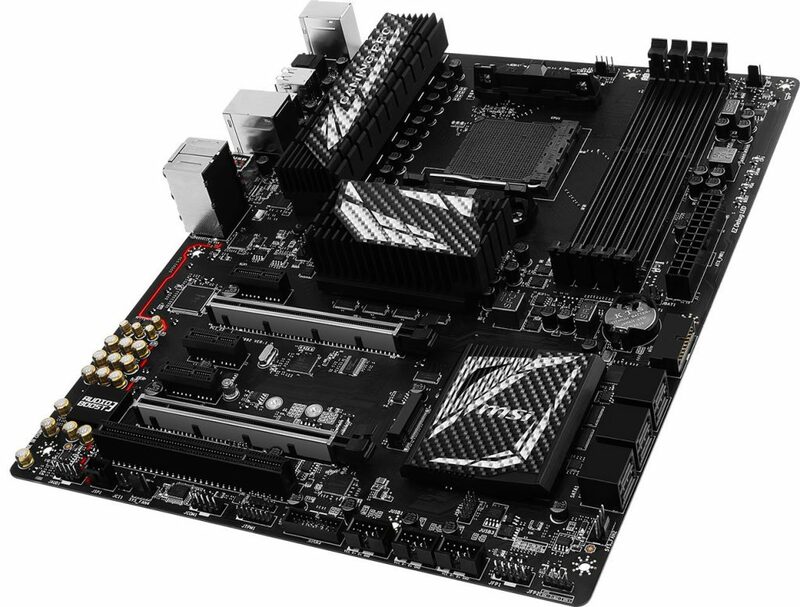 The board has an 8-phase VRM design with two PCI-Express 2.0 x16 expansion slots (x8/x8 when both are populated), three PCI-Express 2.0 x1, and one legacy PCI. The x16 slots are metal reinforcement braces. The 970A Gaming Pro Carbon also features RGB LED lighting on the southbridge heatsink. 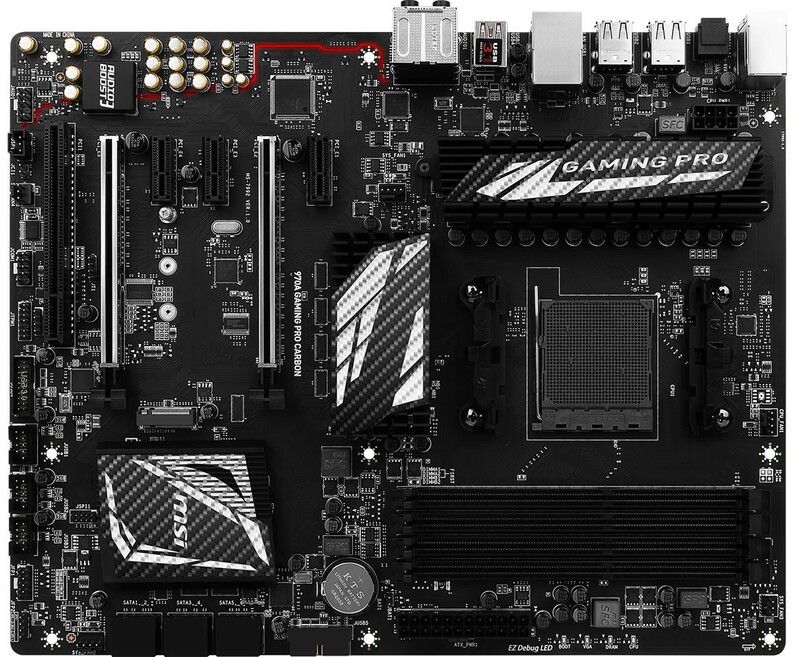 The storage connectivity includes a 20 Gb/s M.2 slot, and six SATA 6 Gb/s ports. 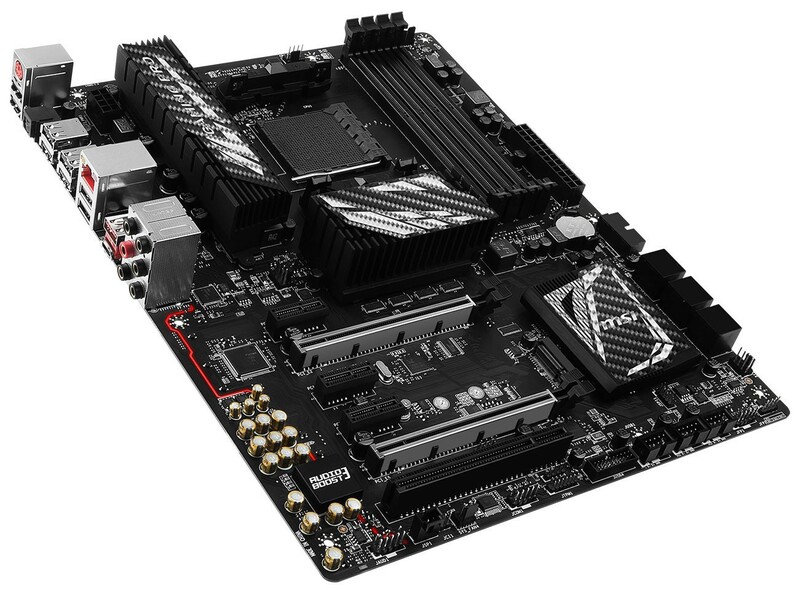 MSI also added updated connectivity option with support for NVMe booting, two USB 3.1 ports (both type-A), four USB 3.0 ports, Gigabit Ethernet, and a high-grade onboard audio solution that includes an 115 dBA SNR CODEC, ground-layer isolation, headset OPAMP, and audio-grade capacitors.